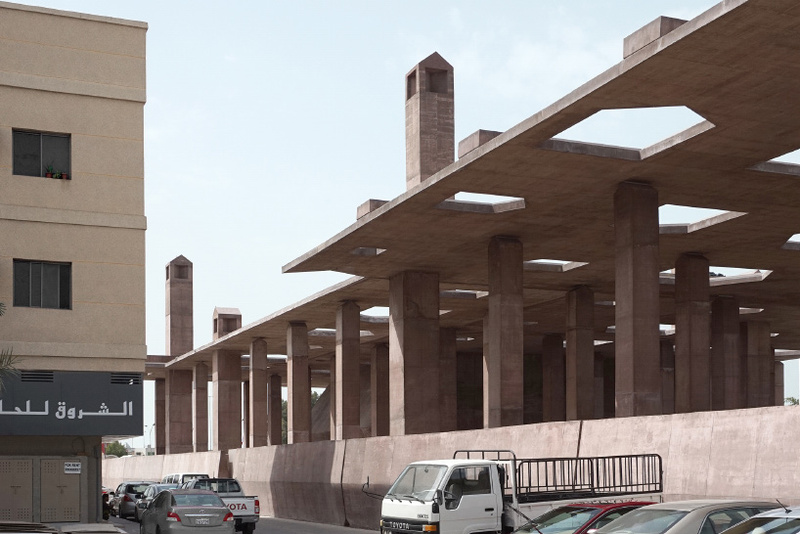 bahrain’s pearling path is a 3.5 kilometer (2.2 mile) trail that connects a series of destinations significant to the country’s pearling industry. 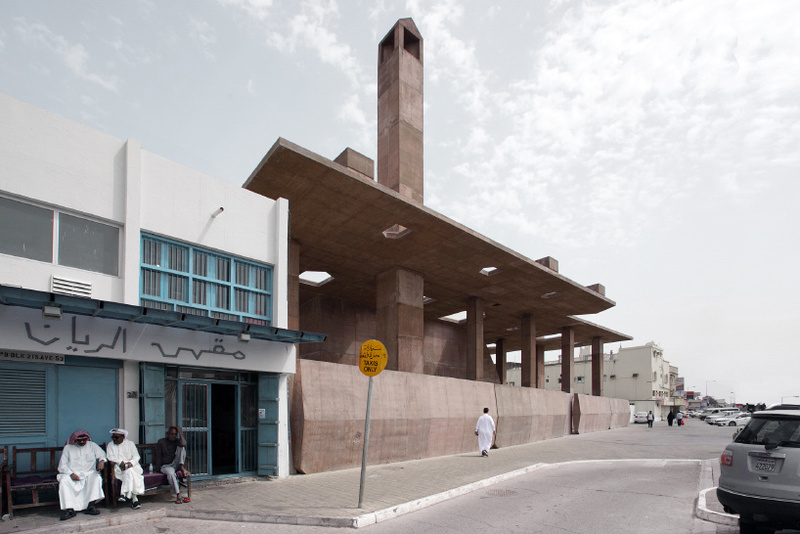 located on muharraq island, the visitor pathway connects three oyster beds, a seashore site, and nine clusters of historic buildings that comprise a total of 17 architectural structures. 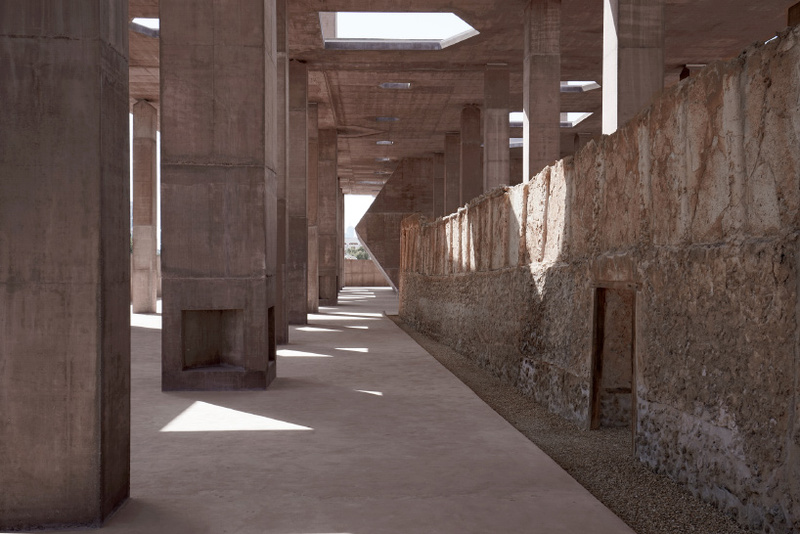 although the region’s peraling economy subsided in the 1930s, the route was designated a UNESCO world heritage site in 2012. amid the historic commercial buildings of the traditional market, swiss architect valerio olgiati has designed the trail’s visitor and experience center. 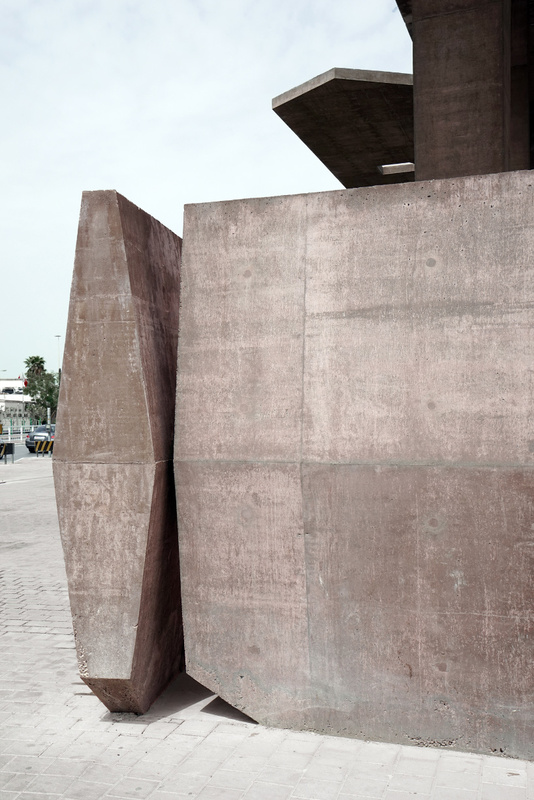 the building, which serves as an entrance to the pearling path, is defined externally by a series of concrete elements that serve as a new reference point within the densely populated city. 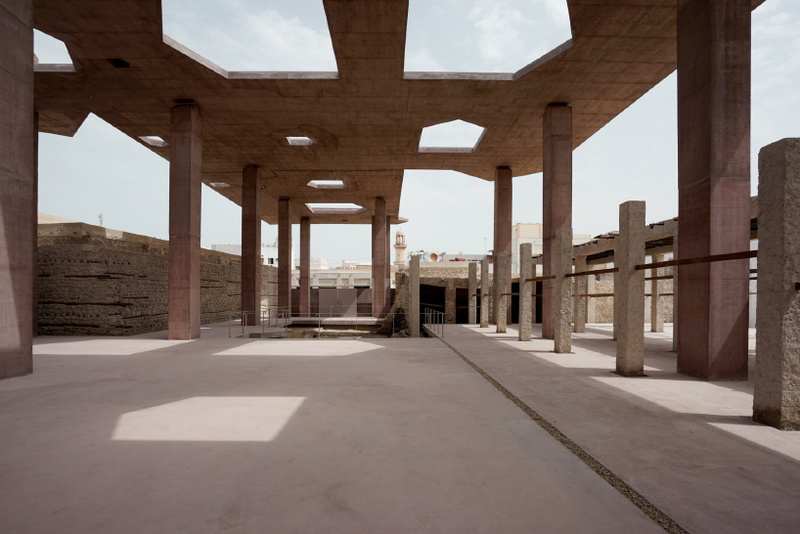 once inside, the site’s ruins — part of the pearling path — are presented beneath a vast concrete canopy. 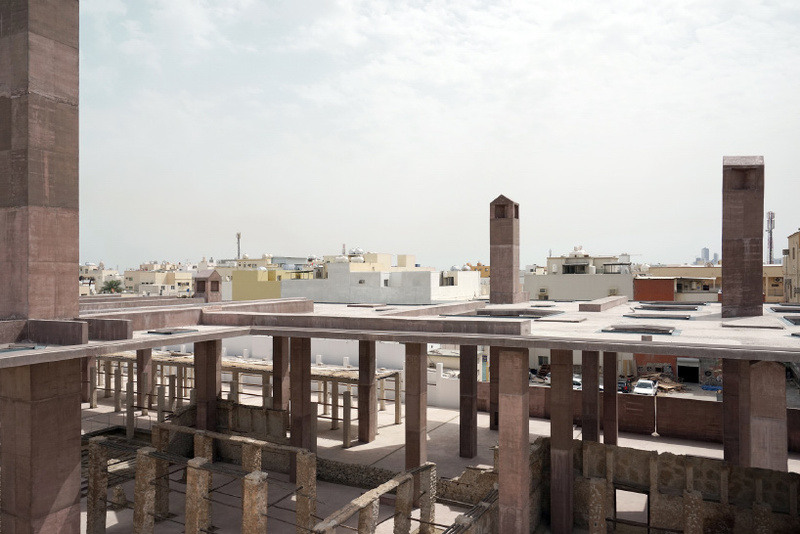 here, valerio olgiati has created a large space where a forest of columns and wind towers elevates the roof 10 meters (33 feet) above ground. 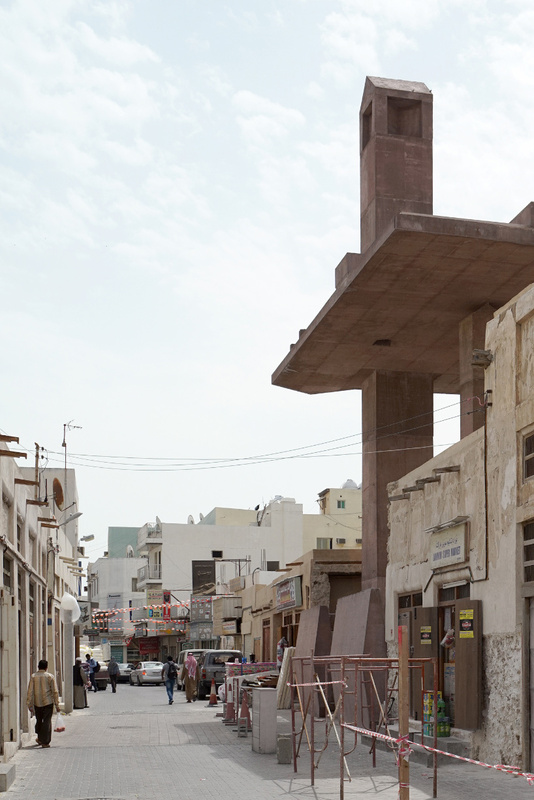 ‘it is an urban room for the people of muharraq with the scale of a public park,’ olgiati explains. 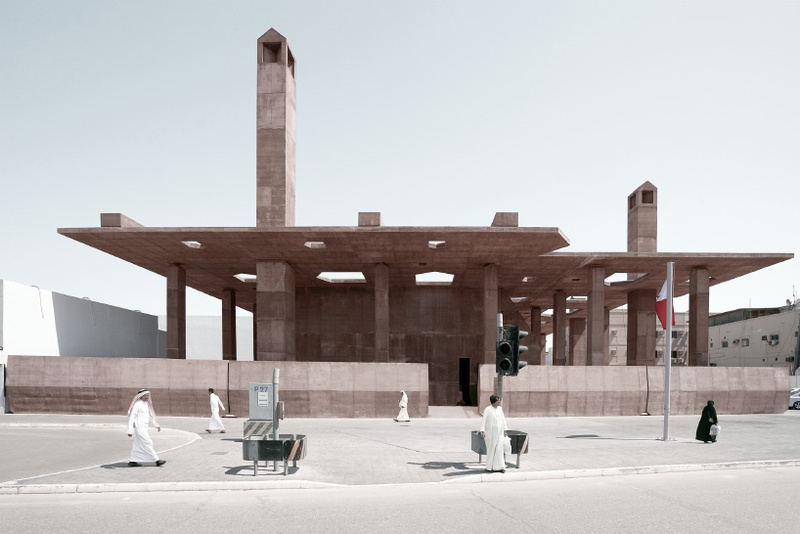 as well as providing vital shade for the people of muharraq, the design’s scale offers a different urban environment. 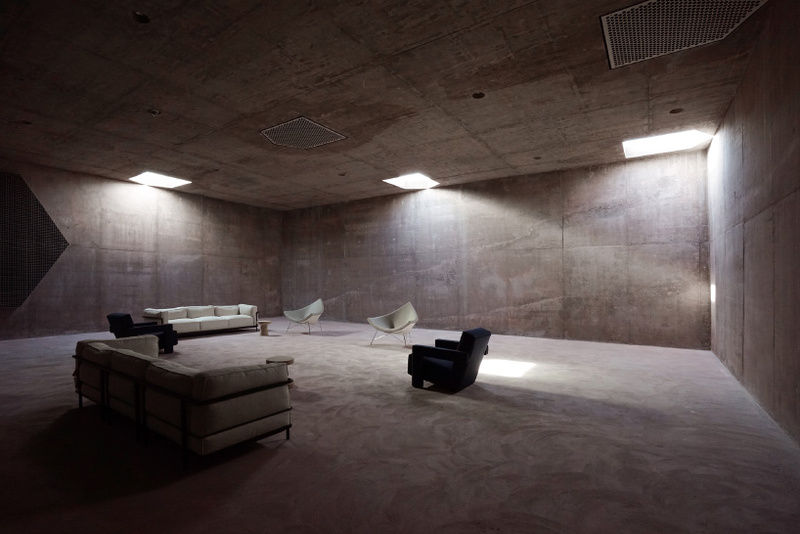 meanwhile, an ‘enigmatic house’ contains the site’s museum. 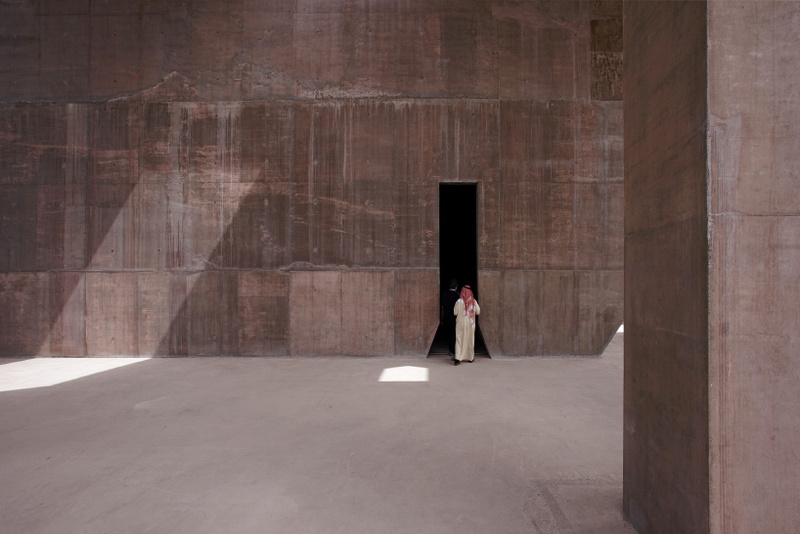 ‘as a totality the building creates a universe in itself that is the entrance for the pearling path and the city beyond,’ says valerio olgiati. 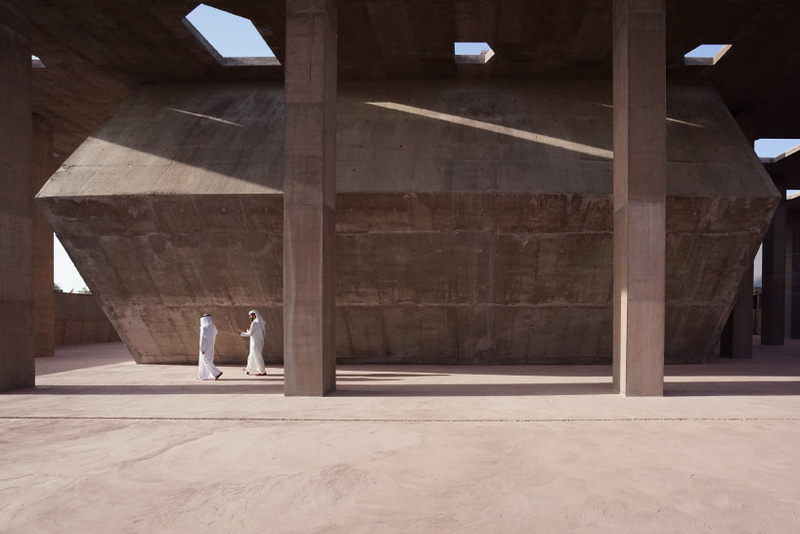 the building was inaugurated in november 2018 and as of march 2019 is open to the public.